Esme does not believe her daddy should read so many books, so she is diminishing his collection. Her mom is grateful she hasn’t yet developed a taste for Nora Roberts. Posted August 22nd, 2013 . 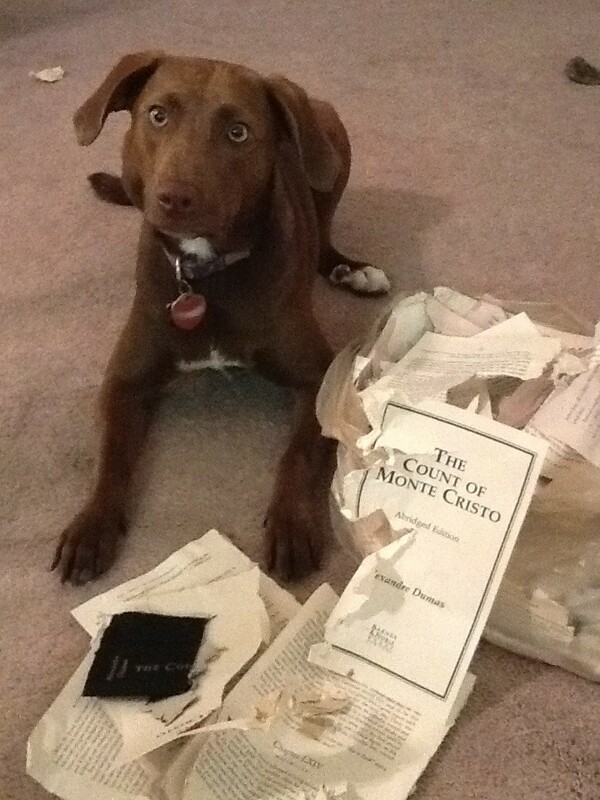 I use Kindle too – unfortunately, the right dog could destroy about 100 books in one fell swoop! 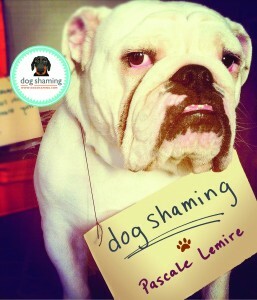 Glad my dogs are not alone in their desire to devour a good book! Esme is a cutie pie! Well, it IS the abridged edition. Can’t blame the dog for wanting to get rid of that. OMG I have to ask what kind of dog is Esme? She looks just like my pooch, who we assume is a chocolate Lab-ish but we really don’t know. She has almost the exact same markings except one brown eye and one blue.